Sunny came to us from a rescue group in Louisiana. He had been turned into a shelter as a puppy with the rest of his brothers and sisters. 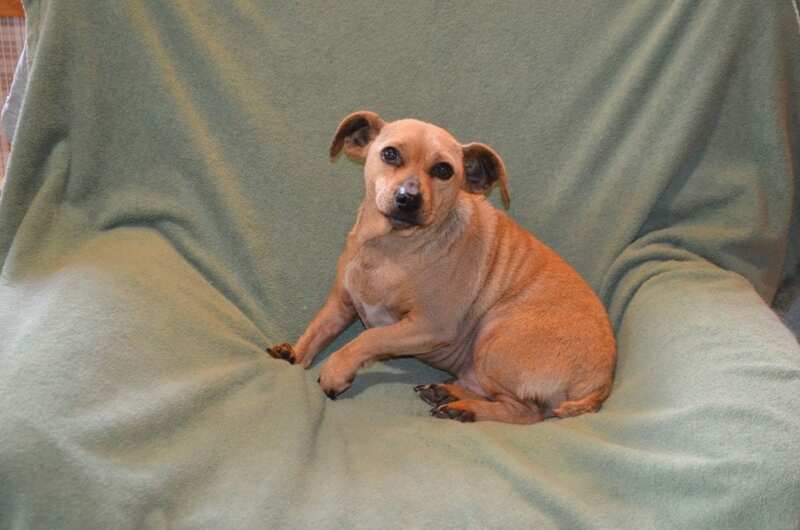 All were euthanized except Sunny. The shelter staff felt sorry for him because of his deformed right front leg, and decided to spare him. The rescue group took him, and unable to adopt him out, eventually contacted us. Now, the first thing you need to know about Sunny is that he should have been named Stormy. ? Or maybe something like, Cloudy with a chance of showers. We don’t know who named him Sunny it was the name he came with but ever since he came to us we’ve joked that it just didn’t fit. Although he can be sweet, he does have a little cloud that follows him around everywhere. It took him about a week after arriving to finally muster up the courage to come out of his crate in the dog room. He sat in the back of it, growling at us, venturing out to eat and drink only when we weren’t around. And then one day, probably having seen enough of all the other dogs being petted and loved, he showed up in the living room all on his own. When we first saw Sunny, we thought his crippled leg might have to come off. The foot is completely malformed, as you can see in this photo. As Sunny walks, he uses that leg but he puts the edge of the foot down on the ground for support rather than the foot pad itself. That makes sense because the pad is turned sideways. What surprised us is that Sunny had no pressure sores or wounds on the surface. 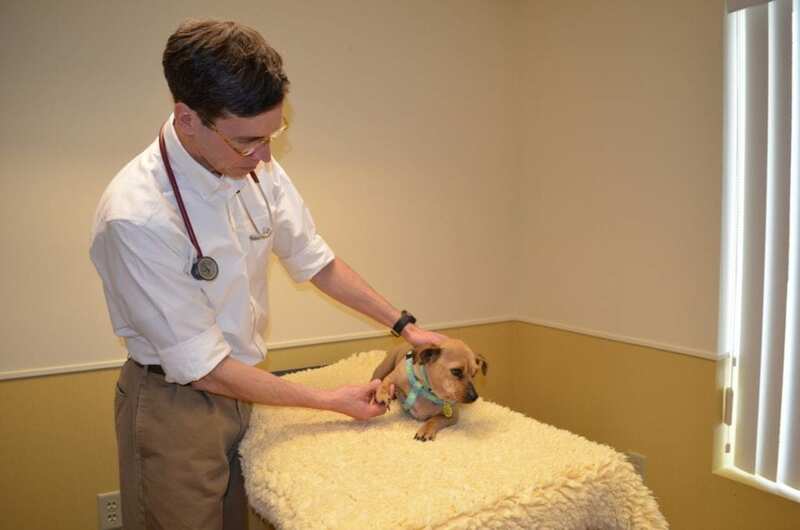 We took Sunny to see our veterinary surgeon in Burlington, Dr. Kurt Schulz, for an evaluation of the limb. 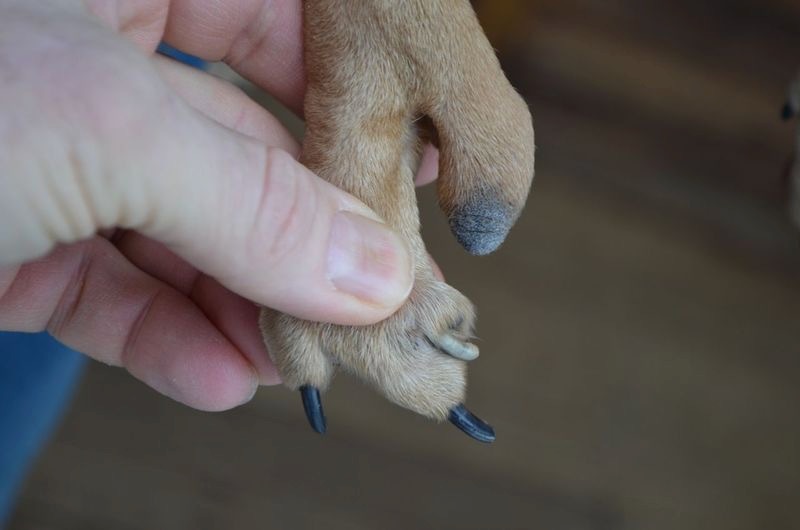 Dr. Schulz explained that Sunny is actually missing several bones in his foot, and was clearly born that way. We decided to wait and see how Sunny used that leg over time, and whether any sores would develop. Months later, we realized Sunny actually did just fine with the leg the way it is. It didn’t slow him down, didn’t cause him any discomfort, and he was able to use it for support while walking without developing any inflammation or wounds. In short, we chose to leave well enough alone. Sunny turned out to be particular about who he likes and doesn’t like. He adores Alayne, for example. Steve, on the other hand, not so much. (Is it a male thing? The beard? Who knows?) So while he has become one of Alayne’s minions,? as we call them, he merely tolerates Steve. Another thing he is particular about is the weather. Sunny considers anything less than 75? to be frigid, Arctic-like conditions. He wishes we were in Sarasota, Florida, basking in the warmth of the tropical sun. (Is this why the name?) 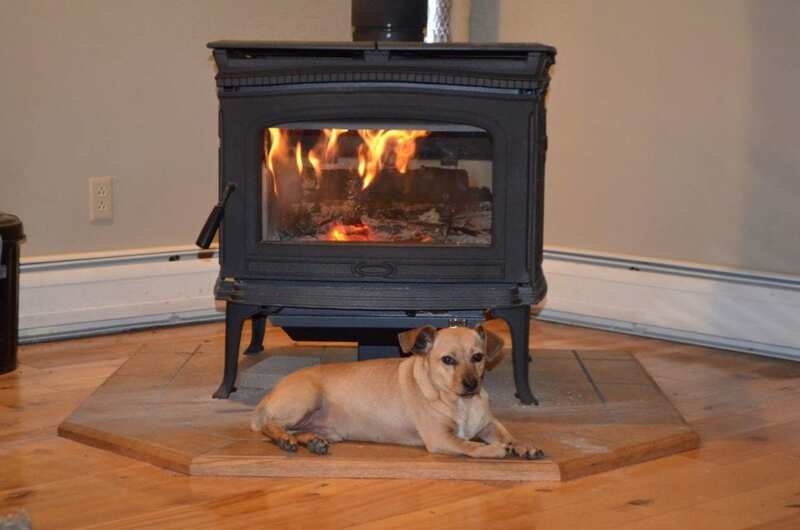 Alas, we?re in northern New Hampshire, so he has to settle for parking himself by the wood stove instead.